One of the first things we did when we moved into our home was have custom bookcases built in our family room. When we toured the home, Matt and I both agreed book cases were an absolute necessity for the room. They house our media equipment, toys, DVDs, open up our space tremendously and well, they are gorgeous. Even though I am constantly tinkering with them, I finally decided to call them “finished”…for now, and blog about them! Let’s start at the beginning with before pictures of the space. Oh, and you can find my inspiration board here. And if you want to go even further back, this was a picture I took when we first toured the house! So once we finished all of our bigger, more urgent projects, we moved on to the built ins project. I totally underestimated how hard it would be to find someone to build these in Charlotte. 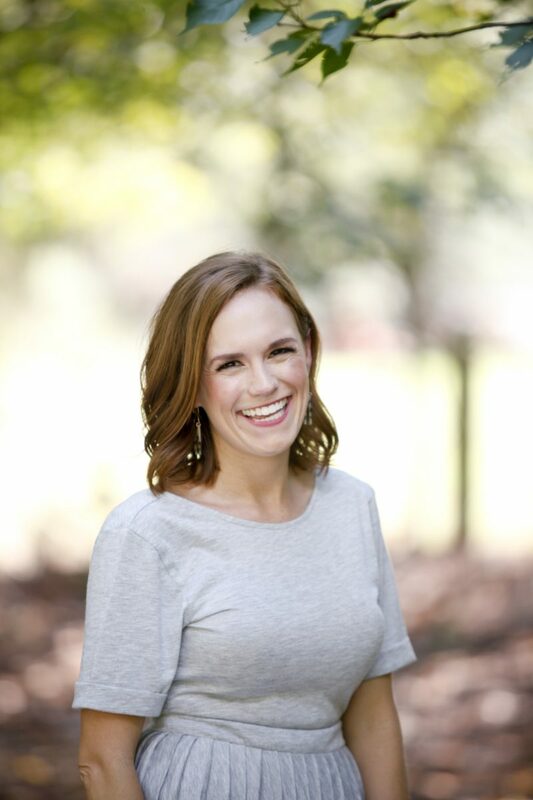 All of the referrals I called were booked out at least 6 months! And we are impatient people so I continued to search and search until one day we received a postcard in the mail from Custom Features Inc., Matt called them up, and they arrived the next day to sketch out some built ins for us. Once we agreed on a design and finalized all of the details (height, number of shelves, number of doors, etc. ), the company began building them out in their shop! On install day they brought all of the pieces and installed them in just a few hours. To save some money on the project we decided to paint them ourselves. I mean, Matt decided to paint them himself…over many, many, many weekends, which is exactly why we normally outsource things like this. But all his hard work paid off! They are gorgeous. I have so many favorite items scattered throughout our bookcases. One of my very favorite items is our wedding invitation that my MIL had framed for us. My Grandma (who I was extremely close with) passed away when I was in college. She was a collector of keys! She had them beautifully displayed in their beach condo and now I have 1/8 of her collection displayed in our bookcases. And yes, this was such a TINY portion of her collection. Hers was massive. This one needs no explanation. Miss him every single day. Both my Grandma and my Mom collect seashells. Mom received a lot of Grandma’s collection and I have begged for and received some of my favorite shells from mom for our home! And for fun, a side by side of the before and after! 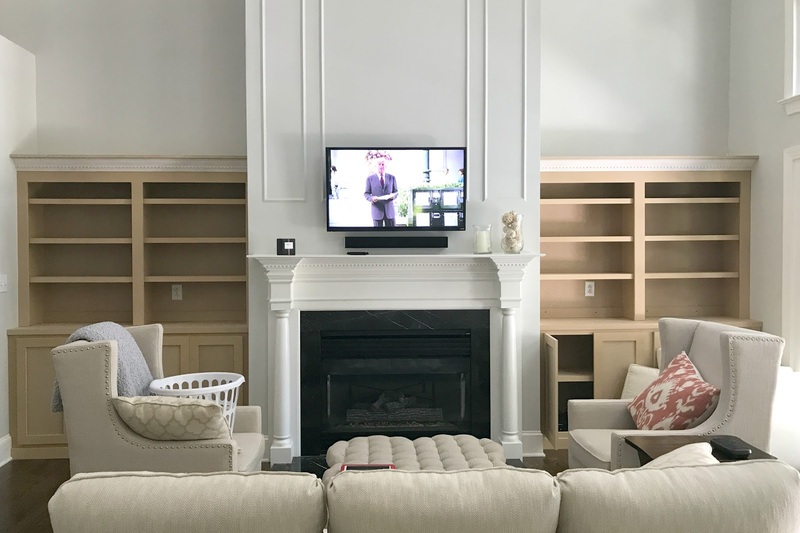 It’s amazing how much the bookcases transformed this room! 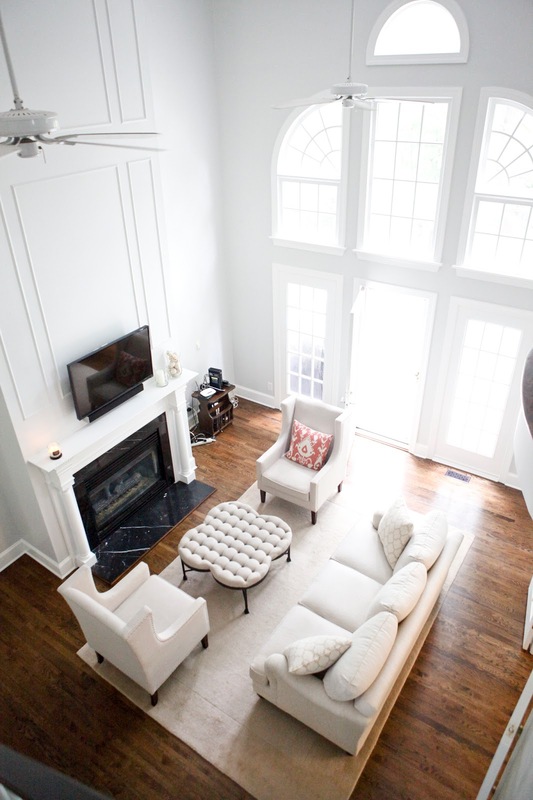 You can find all our family room sources here! I love how the bookshelves turned out. I’m planning on adding one next to our fireplace as well to house all our media gear. It’s sooooo nice to not see all the cords! You’ll love it! And the extra storage! UGH GORGEOUS!! They serious changed the feel of the whole room! So much more cozy! Good eye, girl! Wow what a crazy beautiful transformation!! And how special are all the things you have filled them with! Thank you! I love sitting in the family room and looking at all the special things! I love how they carried the little detailed wood on your mantel into your bookcases. Looks like it was built at the same time. Love it. YES! The dental molding! It was a last minute request I had and they did a great job matching the mantel! Thank you!! Love the bookshelves! I hope we can do something similar in our next home. Your wedding invitation frame is beautiful and is inspiring me to upgrade ours. I stuck it in a frame that I already had, and now I’m definitely framing it with a mat sometime soon. What a difference. I love a room with bookshelves. And, I love all the wonderful memories you have hidden amongst them. Thank you! It really opened up the space! This is crazy but we have the *exact* same wedding invitation, down to the font and swirls! That is hilarious! I thought I was the last person on the planet with a traditional wedding invitation! Love it! Ditto! We were also gifted a framed copy. Our frame is so similar (with the same finish) that I had to do a double take because it looked like our invitation in your gorgeous built ins. I am traditional to a fault and so glad to see there are some like minded ladies out there! It looks amazing! Love your new layout too! Those built ins are sooo pretty – I adore built ins. Great call making that a necessity in that room. 🙂 Your grandma’s key collection is impressive and I love the unique and sentimental statement it makes! Such a great addition- and you did such a nice job styling them. I have built ins and love them but they can be tricky to style. Love that you incorporated some special keepsakes, too. Thanks for sharing! I love those side tables from Target. I’ve been eyeing them for awhile, how is the quality? Will they survive two toddlers lol? Your bookshelves look fantastic. I love built-in bookshelves. I think it gives the room such a cozy look! I complete agree on how that finished out the room. We have two sets, but one that I want to remove the doors on… just haven’t gotten that far yet, lol. Love, love, love how this turned out! praise hands to a job well done! 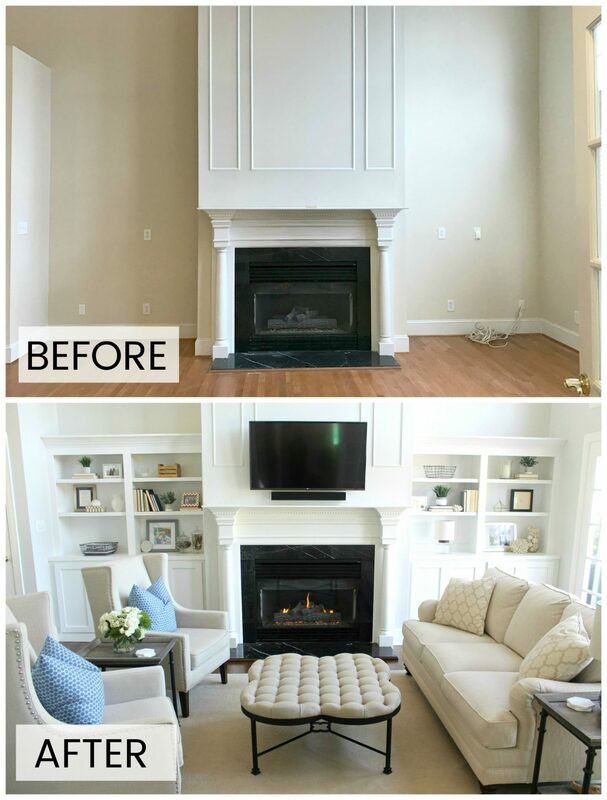 It literally transformed the entire space – love this!! It looks incredible!!! I love the keys, and I especially love that ottoman! 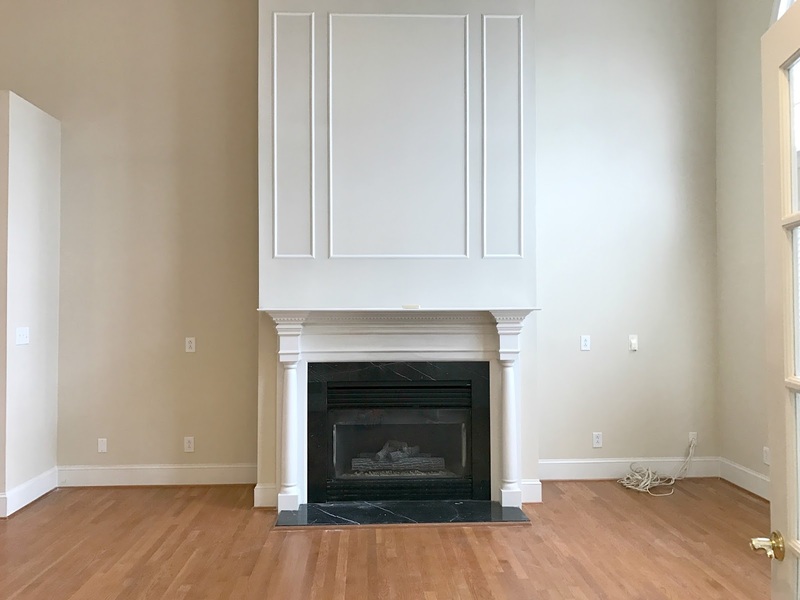 I desperately want to add built-ins and a fireplace to our living room if we stay in our house vs. sell/move (the constant debate). This is just further inspiration! Nicely done! and I love the little personal touches – keys, shells, paw. So sweet.